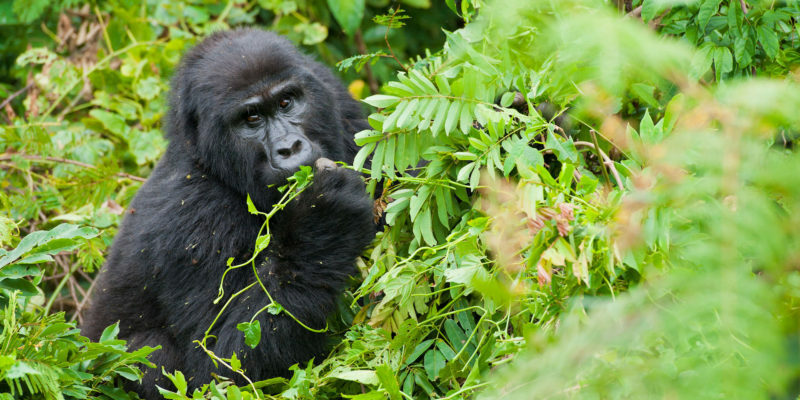 Remarkable Rwanda is one of the world’s most captivating and sort after destinations. From near destruction in the tragic 1994 genocide to a never before seen reconciliation, recovery and period of peace and stability, Rwanda is now considered a leader in the region and an innovative developing country which bans plastic bottles, is the 7th safest place to walk alone at night in the world and has the world’s highest representation of women in Parliament. Home to some of the most special animal encounters on the planet you will get to trek and spend time with rare and critically endangered Mountain Gorillas and the unique and playful Golden Monkeys as well as a Big 5 game drive experience and boat safari in Akagera National Park. To make the tour just that little bit more memorable we have a series of cultural and local experiences which often surprise as being some of the most memorable parts of a tour. Rwanda truly earns it title of being Remarkable. The Bwindi Impenetrable National Park, Uganda; is a bio-diverse, mountainous area in southwest Uganda. Its home to many of the world’s remaining mountain gorillas, who feed on roots, leaves and fruits from the park’s many tree and fern species. Restricted numbers of viewing permits help protect the endangered gorilla families. In the park, rough paths weave amid dense forests, which are home to many butterflies and birds. Water in the vehicle for entire trip. 1 x Kigali Genocide Memorial Visit. Welcome to Kigali, Rwanda! Upon arrival at Kigali International Airport, you will be met by our knowledgeable representative who will brief you about your itinerary and our beautiful Countries and proceed to your hotel in Kigali, a freshen up, and relax with the hotel facilities. Dinner and overnight stay at a choice of accommodation at Onomo Hotel, Ubumwe Grande Hotel, Mile Coline Hotel Or Kigali Marriott Hotel. The Kigali Genocide Memorial is an extremely moving, challenging, educational and ultimately inspiring memorial and great place to understand the cause, tragedy and successful rebuilding post genocide. The reconciliation and rebuilding has been miraculous and these memorials are built to inform, educate and prevent such a tragedy to ever occur again. The tour is very transparent and educational but very somber and humbling when you realize that over 250,000 deceased are buried on the site of the memorial. Guaranteed you will feel every emotion during this visit. The most common question that goes through your mind is “would I be capable of that level of forgiveness if I found myself in this situation”. That’s true inspiration. After the Genocide Visit, embark on your safari vehicle and proceed to Bwindi Impenetrable National Park 5.5 hour’s drive) pass via a scenic drive of the land of 1000 hills via Katuna boarder, en route you will pass through Eastern part of Bwindi Ruhija also a home of endangered Mountain Gorillas through this forest you will get a chance to see some animals, such as Monkeys, Olive Baboons, bush duikers, many birds species to mention but a few. You will have lunch in one of the lodges in Ruhija before you proceed for your scenic drive to South Western part of Bwind in Buhoma. DAY 3: THE RARE MOUNTAIN GORILLA TREK. Today you have a unique and privileged experience to trek and meet at close quarters the rare Mountain Gorillas. There are only around 1000 of these magnificent creatures left in the world with around 1/3 of those in the Bwindi Impenetrable Forest. Early in the morning after breakfast you will be taken to the park headquarters where you will be educated on the trek, Gorilla behavior and assigned in to groups of suitable fitness. The trek can take between 2-6 hours depending on the movements of the Gorillas. The Buhoma sector of Bwindi has the most Gorilla families in Bwindi with a recently habituated troop now accessible. This is considered one of the great natural animal encounters on the planet. The rangers will lead you deep into the forest in search for the Gorillas. You will move up and down the rugged terrain until you finally meet these harmonious creatures that will entertain you with performances for about 1 hour once you find them. Take lunch back at your lodge and a freshen up as you wait for your guide to pick you up for another interesting afternoon activity Batwa Visit Experience. The Batwa people where the original inhabitants of the forests of Bwindi and their lineage are thought to go back possibly 5000 years. The Batwa have been displaced since the early 1990’s and these re-enactments in the forest are their way of preserving their culture and passing it down to current generations. There will be plenty of Batwa present who remember their days as forest dwelling nomads. Their bush skills and stories are unique and extremely interesting. Their small stature is thought to be an adaptation to their forest surrounds. After the Batwa we will transfer you to your Lodge. 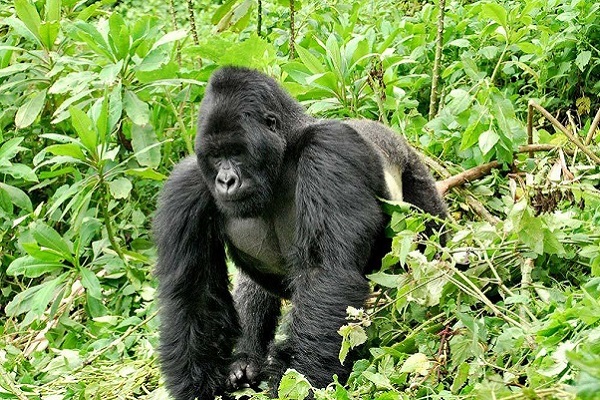 Today you have another second unique and privileged experience to trek the endangered mountain Gorillas and this is a great chance to choose another family of your choice, though they look the same but they differ in group size. There are only around 1000 of these magnificent creatures left in the world with around 1/3 of those in the Bwindi Impenetrable Forest. Early in the morning after breakfast you will be taken to the park headquarters where you will be educated on the trek, Gorilla behavior and assigned in to groups of suitable fitness. The trek can take between 2-6 hours depending on the movements of the Gorillas. The South Western sector of Bwindi has the most Gorilla families in Bwindi with a recently habituated troop now accessible. This is considered one of the great natural animal encounters on the planet. The rangers will lead you deep into the forest in search for the Gorillas. You will move up and down the rugged terrain until you finally meet these harmonious creatures that will entertain you with performances for about 1 hour once you find them. Take lunch back at your lodge and a freshen up and relax with the Lodge facilities if still fit you can take a self-guided walk around the lodge whereby you can have a chance to visit the hand crafts for your souvenirs. DAY 5: TRANSFER TO KIGALI INTERNATIONAL AIRPORT. Today you will have your breakfast at leisure at your convenient time as you relax with the lodge facilities later embark to your vehicle for 5.5 hours’ scenic drive via Ruhija to Kigali en route stop for lunch in Kabale town as you proceed to check in and enjoy the hotel facilities. Dinner and overnight stay at Onomo Hotel, Ubumwe Gland Hotel, Milecolines Or Kigali Marriott Hotel. DAY 6: TRANSFER TO KIGALI INTERNATIONAL AIRPORT. On this day you will have your early breakfast and check out of the hotel and your driver will transfer you to Kigali international air port for your flight back home. Africa Holiday Safaris team wish you safe travels and may your incredible memories of this tour stay with you long after you return home.